District and school administrators are responsible for providing instructional leadership and developing, implementing, and evaluating district and school systems and policies. District administrators include superintendents and central administration staff responsible for finances, assessment, special education, and the like under the direction of a school board. School administrators mainly include principals and assistant principals. District and school administrators play a critical role in improving the learning environment and overall academic progress of their students. Without their leadership, creating meaningful learning environment improvements is difficult. District and school administrators, with support from the school board, introduce and promote learning environment improvements. District superintendents and central administration decide on building sizes, budget allocations, and the selection of staff. Additionally, they communicate the school district’s mission, training priorities, and promotional activities; such activities play a part in encouraging change. Within each school, the principal plays a central role in providing leadership, articulating goals and behavioral expectations of teachers, and supporting staff in developing an effective school. When teachers and staff are supported, students are supported. Administrators are critical in facilitating the school climate improvement process. Administrators can call attention to the importance of school climate at board and staff meetings, providing leadership for an inclusive team to shape a collective vision for school climate and creating a long-term plan for realizing this vision. This work might include implementing special measures to ensure the protection of groups at risk of victimization at school, facilitating interdisciplinary teaming among teachers, demonstrating high academic expectations for all students, and managing a comprehensive school climate improvement plan. The process should actively involve students, staff and families in the climate improvement process. The manner in which principals lead affects learning environment improvements. The actions of principals are critical for improving learning environments. Effective principals balance fostering strong and supportive relationships among students and staff with the need to maintain high expectations. In particular, they work on nurturing relationships by speaking with teachers and students every day; finding ways to bring teachers and families together for fun activities that everyone enjoys; engaging teachers, students and families in problem solving with a focus on high expectations; contributing to students’ growing autonomy and sense of purpose; celebrating the short- and long-term wins; and selecting staff based on the extent to which they balance their deep caring for students, respect for families, and demand for excellence and autonomy. Dwyer, K. & Osher, D. (2000). Safeguarding Our Children: An Action Guide. Washington, D.C.: U.S. Departments of Education and Justice, American Institutes for Research. Nixon, C. & Gray, C. (2007). Keeping Students Learning: School Climate and Student Support Systems. Paper presented at the 2010 Tennessee LEAD Conference. Summarizes a variety of lessons of administering the New York City School Survey and presents both the Research Alliance’s and the NYC DOE’s reflections about the process of improving the School Survey. Presents a toolkit for superintendents, principals, and other education stakeholders to determine the best ways for them to leverage national service resources in schools. This toolkit helps stakeholders identify how national service resources can help meet schools' needs, match schools' needs to an AmeriCorps and/or Senior Corps program, and apply for Corporation for National and Community Service resources or partner with nonprofit organizations, institutions of higher education, city agencies or mayors' offices. Analyses data from hundreds of schools to learn how principals were most effective at achieving higher learning gains on standardized tests. The brief provides a summary of research collected from 12 schools, where researchers interviewed principals and teachers, to investigate what principals in schools with improving learning gains were doing and how these actions differed from the actions of principals in schools that are struggling. 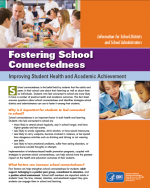 Answers questions about school connectedness and identifies strategies school districts and administrators can use to foster it among their students. Describes factors that support school connectedness, strategies that administrators and schools can use, and additional resources. Summarizes the state of the field on cultural competence in social services and provides service providers and administrators with concrete strategies for ongoing self-reflection and development. The brief also includes links and references for additional relevant resources, tools, and information. Shares the lessons and advice of principals who have been able to successfully address the discrepancy between what educators believe is necessary to improve student outcomes and what they feel prepared and able to do. 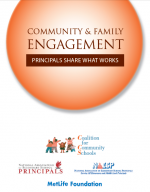 The report discusses how principals have been able to effectively address these gaps through working with community partners, families and other key stakeholders. Challenges and methods for overcoming them to improve student outcomes are explored through different examples and general tips. Provides practical, actionable information to help school and district leaders (including superintendents, principals, and senior technology staff) navigate the many decisions required to build a technology infrastructure that supports digital learning. The guide presents a range of options for school and district leaders to consider when making technology infrastructure decisions. Helps schools and school districts understand adult sexual misconduct (ASM), develop related policies and procedures, train on ASM awareness and prevention, and recognize the role of social media and technology in ASM. This training guide, which is available free of charge and based on the most recent research and trends on ASM, supports education agencies in updating their emergency operations plans (EOPs) and/or related ASM policies and procedures to be in alignment with national, state, and local recommendations.